Not only for aesthetic reasons motorcycle fog lights are extremely popular among drivers of touring and enduro bikes. Anyone who has been traveling in adverse weather conditions such as heavy rain or fog knows how important a proper lighting is for motorcyclists. Motorcycle fog lamps not only increase your range of vision in fog but also your visibility to the on-coming traffic. 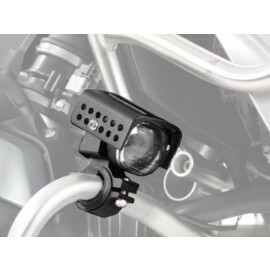 Fog lights are available for many different bikes and are always delivered in a set, i.e. fog lights always come with the complete installation material and installation instructions. Fog lights are either mounted to a universal holder or to a suitable engine guard. 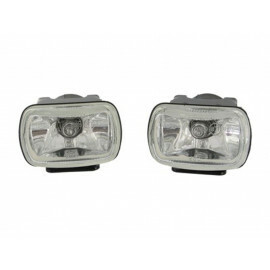 Moto24 stocks high-quality fog lights at reasonable prices. Don’t miss our bargains!